With SES London approaching we have put together two must have documents for the event. We understand that to make the most of the conference, planning is essential. We’ve made it even easier to enjoy your day and be in the right place at the right time. Simply download and print our day-by-day timetables and networking schmooze sheets. When we’ve been along to SES in the past we’ve found their timetables a little difficult to use. So we’ve created printable side-by-side timetables to choose the sessions you want to attend and plan your day. We all know one of the best things about going to conferences is the schmoozing opportunities. 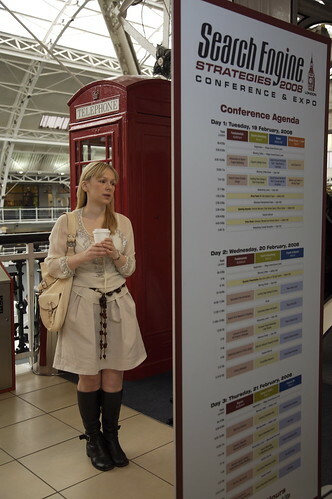 With our handy guide you can do a bit of forward planning for which speakers you want to stalk! It’s the conference tomorrow, any of you going along? Be sure to say hello to the SV contingent. All our pictures are on the side bar so no excuses for not coming and saying hello.